Our dating website thumbnails are currently broken. The thumbnail provider we were using changed their code. We tried to update our code using the instructions on the thumbnail provider’s blog but were unable to get them working again. We are currently looking for a reliable thumbnail provider or a workaround. 420Dating.com is a niche dating site visited by 6,848 people/month. These people visit 21,576 times/month at an average of 10:22 minutes/visit. 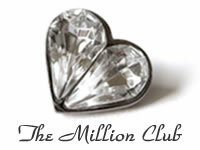 According to third-party traffic data, dating site OkCupid.com joined the Million People per Month Club (Million Club) in January, 2009. Let’s take a closer look at their impressive growth over the past year. SoulGeek.com is a niche dating site visited by 7,580 people/month. These people visit 31,684 times/month at an average of 03:54 minutes/visit. Cupid.com is a general dating site visited by 309,732 people/month. These people visit 1,972,262 times/month at an average of 16:46 minutes/visit.